We Want To Buy Your House in Independence, Missouri! For The Past 20 Years, We Have Been Helping People By Purchasing Their Unwanted Property! And Because We Pay You Directly, You Never Have to Worry About Financing Falling Through! You Can Learn All About It Here! If you are considering selling your house, think about ALL of your options before making a decision! Successfully listing your house takes a lot of work! The time and money spent can add up fast! A fast and direct sale, without any fees, commissions or costs, has proven to be the most lucrative way to sell for many people! You won’t have any guarantees when it comes to a closing date. You could spend thousands on insurance, property taxes and utilities while you are waiting for the home to sell! Give us a call! We will know right away the best way to help you! We have a team of professionals ready to put together a professional offer for you! No two properties are alike, and neither are our offers! We research your property and offer you the best cash price possible! We want to create a win-win situation! We want you to be confident in knowing you made the right decision when selling your Independence home! We are always straightforward and will be able to tell you exactly how much we can pay you. We can explain our methodology and why we offer what we do. We will always answer any questions and help with your move in any way possible. We understand your needs and how stressful selling real estate can be. We will work with you every step of the way to make sure the process runs smoothly and effortlessly. This is to let you know how much we appreciate all that you have done for us. When this all began we thought for sure that we would end up in foreclosure, but do to all your hard work for us and working so closely with Saxon Mortgage you were able to save us from a devastating end. We just wanted you to know how much we appreciate all you have done. Your hard work was a lifesaver to me and my family. If in the future I know of someone with similar problems I would certainly recommend your service. – Fred & Jean F.
Do you want to sell your Independence house fast? We will give you a fair and honest all-cash offer! The Sierra Group LLC is buying houses right now in Independence, Missouri. If you want to sell your property for a great price, submit your information using the form above. We will make you a fair, no-hassle, no-obligation offer. 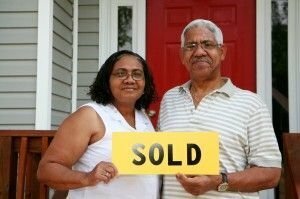 We have helped hundreds of people with real estate they no longer wanted to own, and we can help you too!